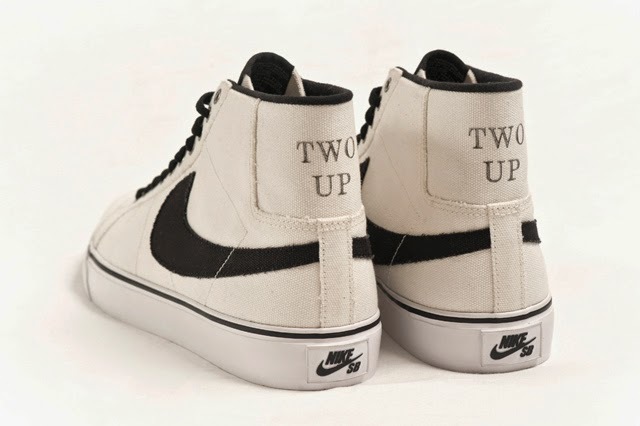 No Days Just Weeks: WHY 1 UP… WHEN YOU CAN "TWO UP"
On April 17th the Nike SB TWO UP Blazers will drop. Two up is a new Aussie skate film featuring Alex Campbell and Nick Boserio. Loving the classic and old school twist on these canvas mid blazers in a new school, hightop and patent leather kind of world. Check out the first Aussie Nike SB film below and make sure your in line on the 17th to get Two Up on em!